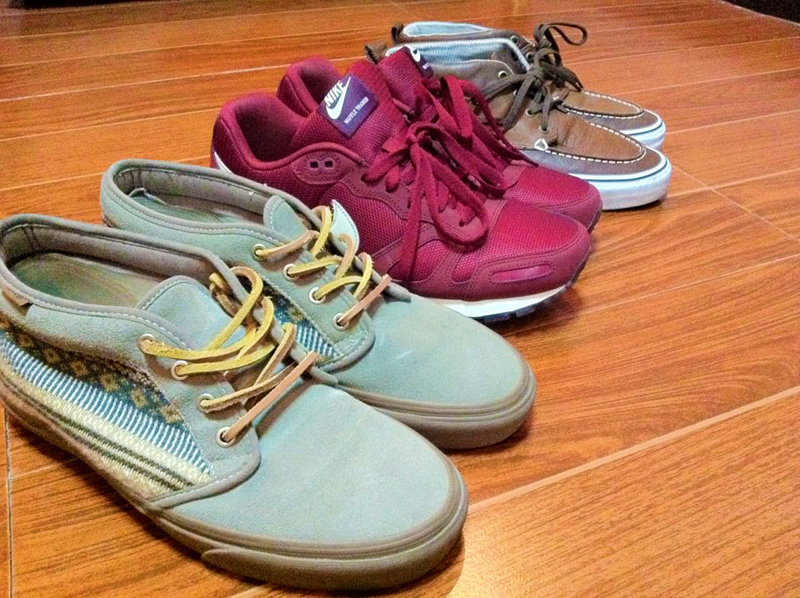 Date - Vans CA Chukka Del Barco "Walnut"
Family - Nike Air Waffle Trainer "Birch Red"
Friends - Vans CA Chukka Boot - Nordic "Brindle"
nice! been looking all over for those chukkas. info on them?